Y’all…Let me tell you a story about my upbringing. When I was in second grade I started at a new elementary school. I liked my new elementary school so much more than my old one. I made friends pretty easily and one of our very favorite things to do was watch the Hiland Dairy truck unload all of the school’s milk during recess. It was a highlight of our day, and I honestly remember it so vividly. I don’t drink white milk, but I always grabbed my carton of Hiland dairy chocolate milk with every lunch tray. 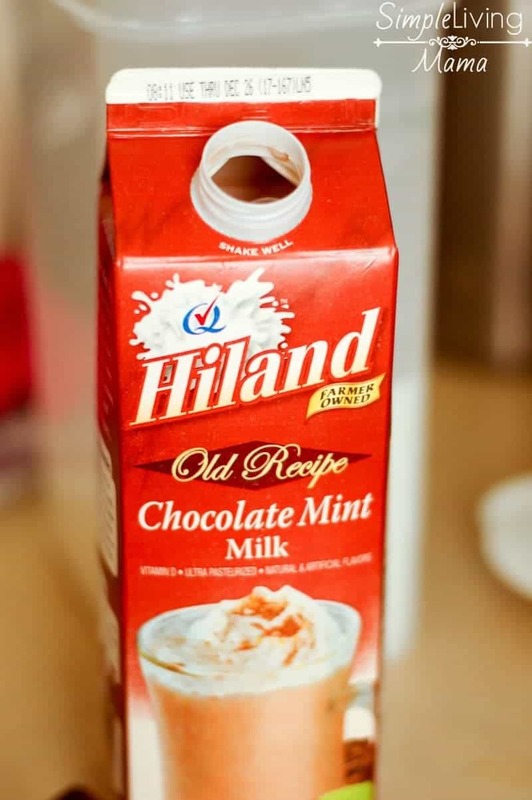 Nowadays, I share my love of Hiland Dairy’s chocolate milk with my kiddos. They LOVE it! I’ve discovered that Hiland Dairy also has seasonal milk. 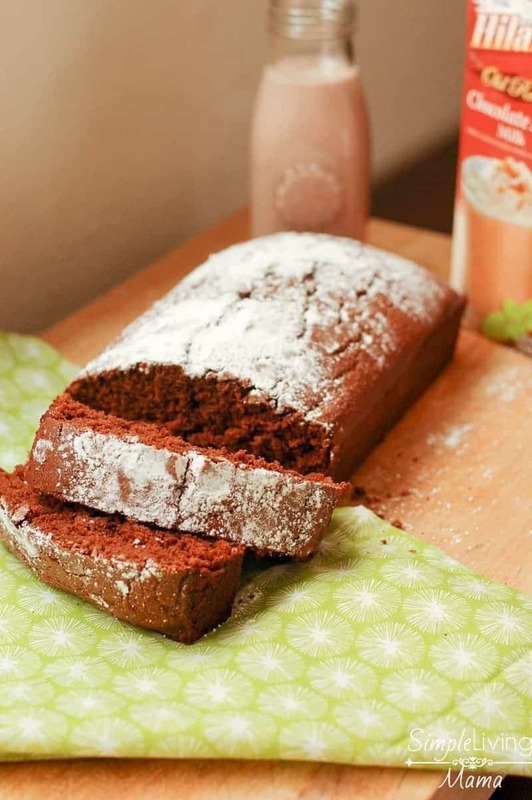 We decided to whip up a delicious mint chocolate loaf bread with the Mint Chocolate milk. Oh, my. It’s so good! 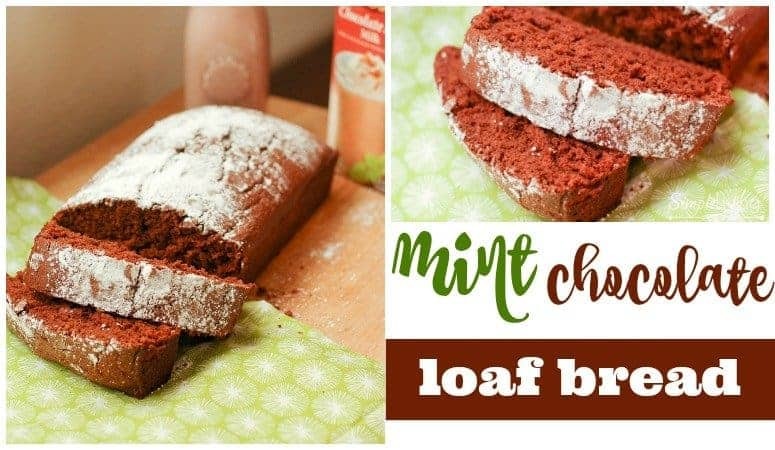 To make this delicious mint chocolate loaf bread, I recommend bringing your kids into the kitchen with you. You only need about 15 minutes of prep time, and the kids can pour ingredients into the mixer and watch the batter come together. It’s so fun for them, and you are making memories! Did you know, Hiland Dairy has been around since 1938? We pass a Hiland Dairy factory every time we drive to our parents’ houses here in Arkansas. Hiland Dairy is a staple around here! I love that Hiland Dairy is committed to providing high quality dairy products and sustainability. There are a variety of Hiland Dairy products you can use this year in your holiday cooking! 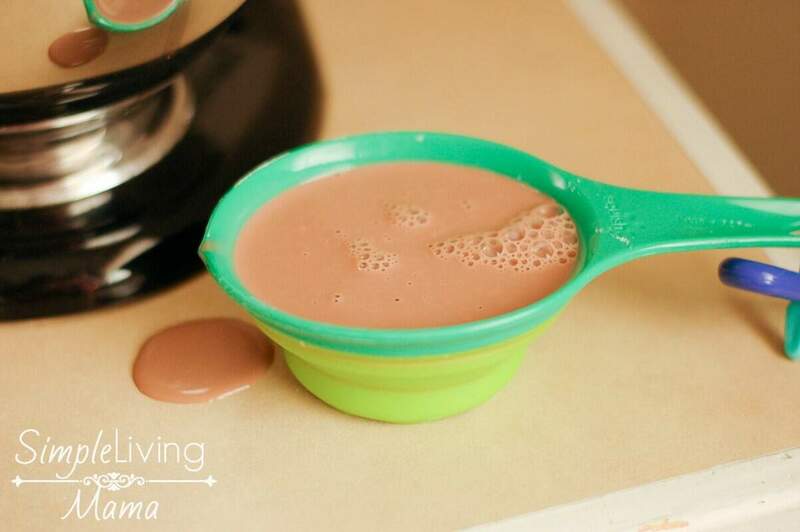 Check out their milk, butter, cheese, whipping cream, egg nog, and flavored milks like the one I’m using in this recipe. Want to win a year’s supply of Hiland Dairy products? 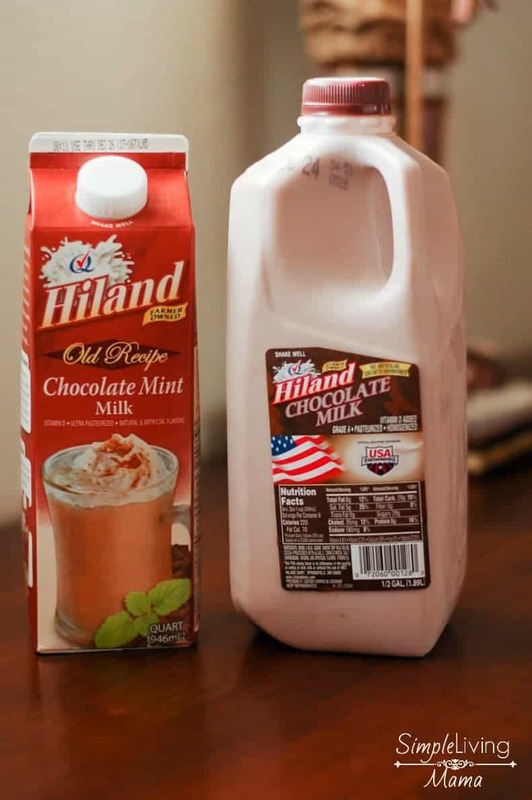 Learn more about Hiland Dairy and enter the giveaway here! Preheat the oven to 350 degrees and grease a 9 x 5 inch loaf pan. Combine the flour, cocoa powder, baking powder, baking soda, and salt in a mixing bowl. In a stand mixer, cream the butter and sugar. Add one egg, mix, then add the other egg. Alternate adding the dry ingredients and a cup of milk into the bowl of the stand mixer while it is stirring on low. Once all of the ingredients are incorporated, pour into the loaf pan and bake for 50 minutes, or until a toothpick inserted in the middle comes out clean. I like to dust mine with powdered sugar. If you wanted to up the mint flavor, you could add mint chocolate chips to the batter before baking, or top with mint chocolate chips about five minutes before the end of the baking time. 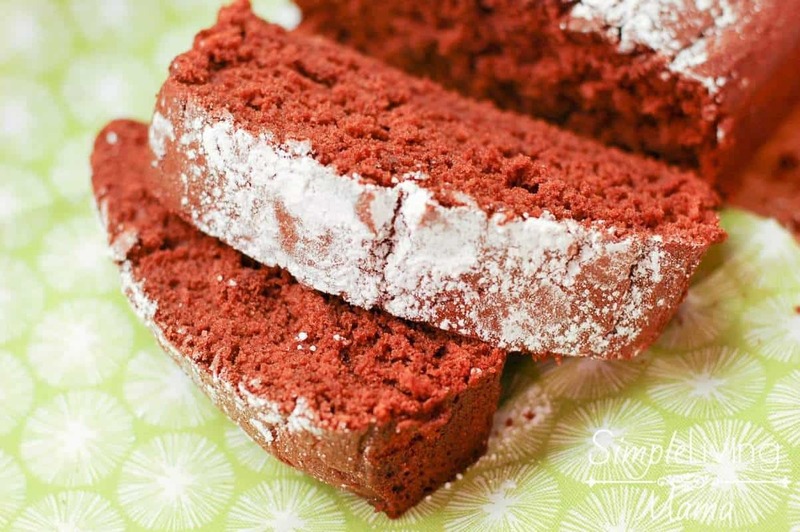 This is the perfect recipe to make this holiday season with your kids! 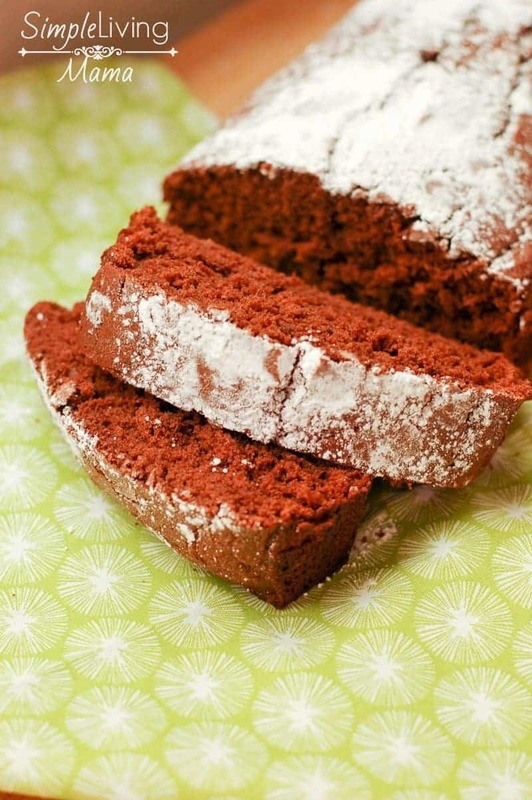 Get baking in the kitchen and deliver these loaves to your neighbors as a kind gesture! I hope you enjoy this recipe! Merry Christmas! Don’t forget to enter to win a year’s supply of Hiland Dairy products!